Antu Beduru: This is your future Chief Minister! We have received new information which supports our recent exposé about the top secret succession plan hatched by Dato' Seri Najib Tun Razak and Pehin Sri Abdul Taib Mahmud. 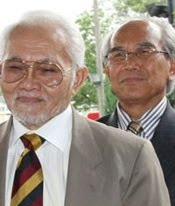 As reported, our source had revealed that Putrajaya wants Taib to step down and hand the reins of power to an Iban Chief Minister to placate the Ibans by January 2011. This Iban Chief Minister, Datuk Patinggi Tan Sri Alfred Jabu anak Numpang, will only be an interim care-taker. He will hand over to Taib's cousin, Datuk Seri Dr. Mohd. Effendi Norwawi, as soon as BN has won a landslide victory thanks to the Ibans who support an Iban Chief Minister. The latest news our source has revealed is that Effendi will also be an interim caretaker! The real successor to Taib will be none other than his own first cousin, Datuk Norah Abdul Rahman, currently the MP for Tanjong Manis. 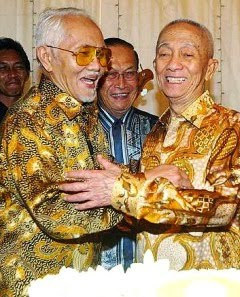 Taib's mother and Norah's father, the previous Governor and Chief Minister Tun Abdul Rahman Yakub, are siblings. Although the rumour that Norah was the heir-apparent was reported several months ago, our source has verified that this is now not a mere rumour but a very real fact. The plan is for Effendi to warm the Chief Minister's seat for a few years while Norah fast-tracks her way up the party hierarchy in PBB. When the time is right, Effendi will resign his DUN seat and a by-election will be called with Norah standing. 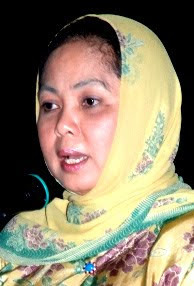 She will then be crowned the first woman Chief Minister of Sarawak and the first ever woman state leader of Malaysia. The only stumbling block to Norah will be Datuk Amar Abang Abdul Rahman Zohari Tun Abang Hj. Openg, better known to us as Abang Jo. Enter the Malay faction in PBB. Our source has also revealed that Putrajaya is in favour of Abang Jo as a replacement to Taib, and it is an open secret that Abang Jo has support in high places in Putrajaya. Rumours are rife that within PBB a bitter power struggle is being fought in the corridors of power behind closed-doors. The daggers are drawn and Taib is said to be fearing even his own shadow and everyone is a suspect as far as he is concerned. The united facade PBB is desperately displaying to the public is fast beginning to crumble. Back to Taib's succession plan. 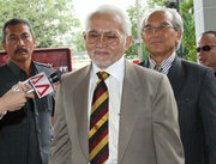 With Norah in place, Taib will be fully protected and Putrajaya will keep to their gentleman's agreement not to meddle in Sarawak's affairs, and the status quo will be maintained. 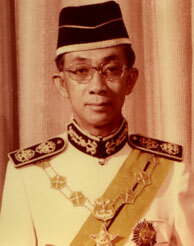 The future Chief Minister of Sarawak. However, this highly secret succession plan can only succeed if the Iban continue to vote BN and support the Iban Chief Minister-in-waiting, Jabu, which is very likely if SNAP leaves Pakatan Rakyat and splits the Iban vote. The key to the Chief Minister's Office now lies in the hands of the Iban, the majority bloc of votes in Sarawak. 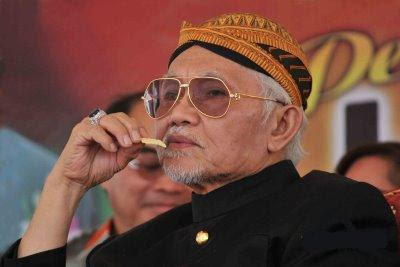 Will the Iban play into the cunning hands of Taib again and be easily bought by the idea of an Iban Chief Minister, some pocket money, MRPs, a few rounds of Oranjeboom and a dish of grilled pork? Your article is confusing. Sekali nuan nyebut jabu, sekali nuan nyebut Effendi lalu diatu nuan madah Nosiah nyadi KM nganti Taib. Ni ke betul. Pia nuan madah DJBA enggau meeting ba Miri, SNAP-UBF, tang orang ke enggau dia madah nadai meda DJBA. Enti tak semina ninga jako orang aja anang kelalu ngeleban ke berita takut ka iya tau nyadi ke penyalah lalu nyadika pengenyai nuan empu, menyadi. Lebih manah enti nuan meri berita ngena fact. maybe easier for you to understand in iban. 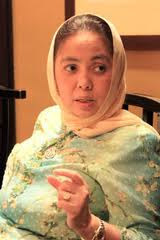 No need Norah... Effendi can also protect Taib's interest. Your write up is just a political gimmick, hearsay and perhaps just to entice the Iban voters to vote for opposition. In short your succession plan lacked truth and subsistence....in other words just "cerita dongeng"...sorry brother! Cerita dongeng or not ...The way I look at it..Iban will continue to let them have their land and then they will fight amongst themselves ..brother against brother, uncle and auntie, father and grandfather for what little land they are left with until there is no more land to fight for..then and only then they will wake up and dig up their buried parangs and drink from the skull of those who stole their land..
AOL? I require a specialist on this space to resolve my problem. first comment (it was super long) so I guess I'll just sum it up what I submitted and say, I'm thoroughly enjoying your blog. I as well am an aspiring blog blogger but I'm still new to everything. Do you have any helpful hints for beginner blog writers? I'd genuinely appreciate it.